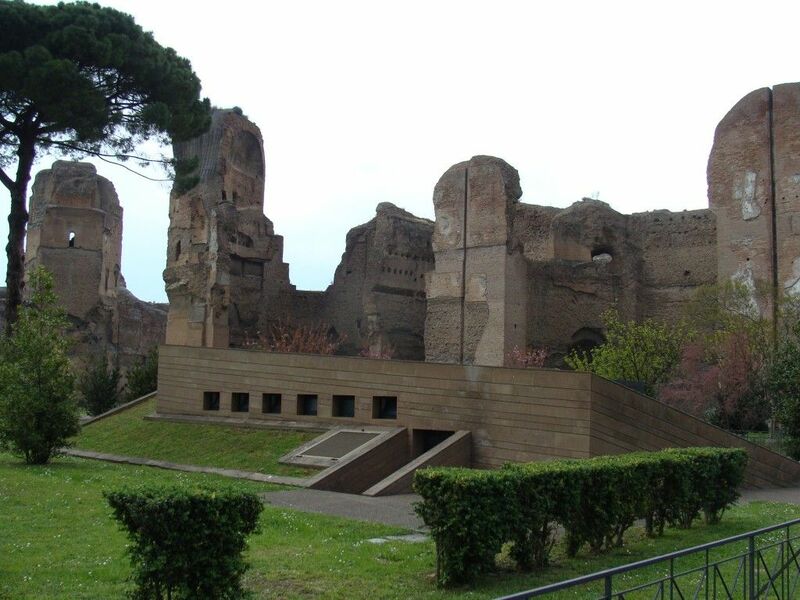 Read enough about St. Louis or American architecture in general, and eventually someone will make an offhand reference to a building being based off of the Baths of Caracalla in Rome. But what were the actual Baths, or Thermae, of Caracalla? 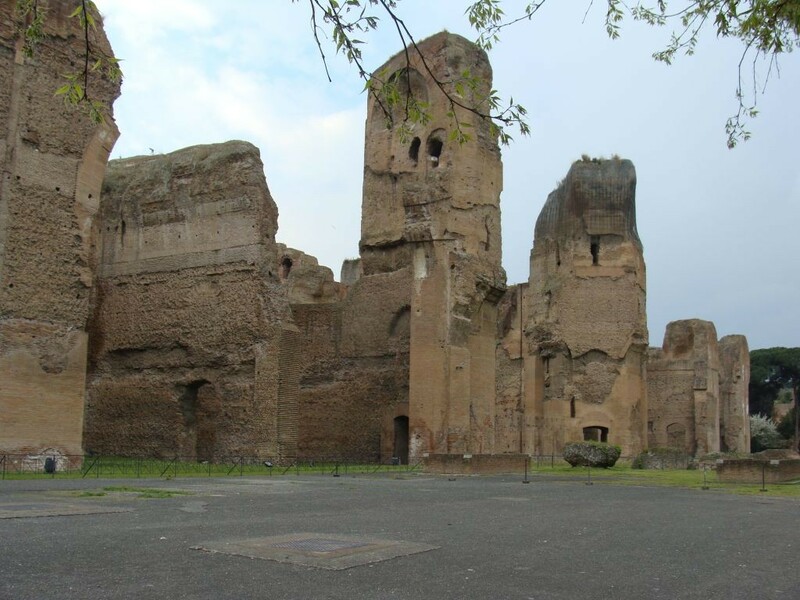 They were begun by the Emperor Septimius Severus (thus some old maps called the buildings the Severan Baths), they were completed by his son Caracalla in 217 AD. 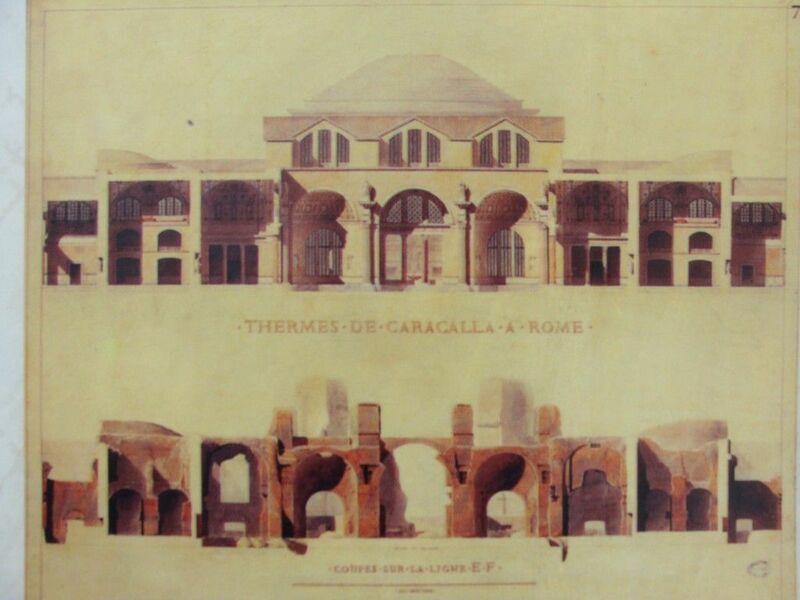 Ever since then, architects from Giovanni Battista Alberti, Michelangelo, Cass Gilbert and the entire Beaux-Arts style, have been inspired by the massive public bath house. 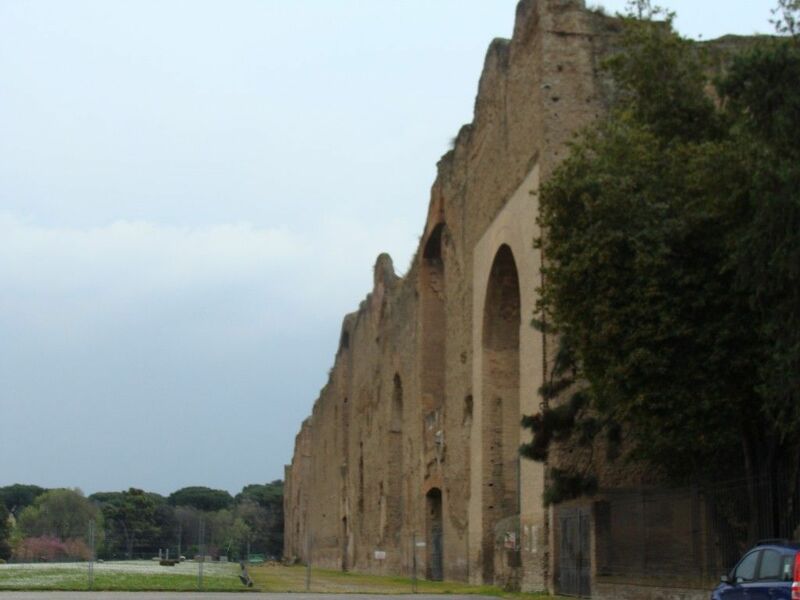 The central building, while in ruins (its huge brick dome has unfortunately collapsed), is still preserved enough to get a good sense of the scale of Roman Imperial architecture. The two large pillars seen above, and in the top photo, are all that remains of the dome when the other two brick pillars and dome failed in an earthquake. 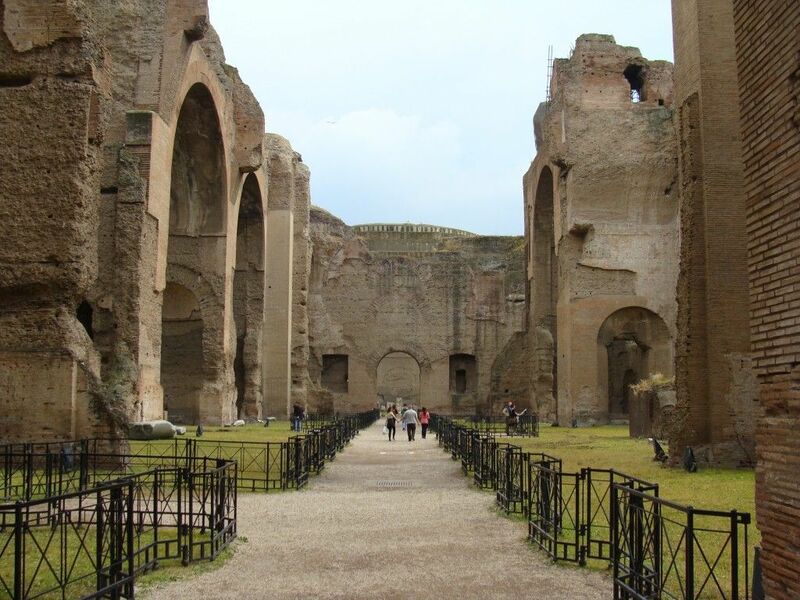 Below, the “great hall” or frigidarium, depending on which source you reference, forms the inspiration for hundreds of monumental buildings built since the Renaissance. Originally mounted with a huge vault, the series of three vaults are mirrored on both sides. The Saint Louis Art Museum’s Sculpture Hall is based off of this massive chamber. 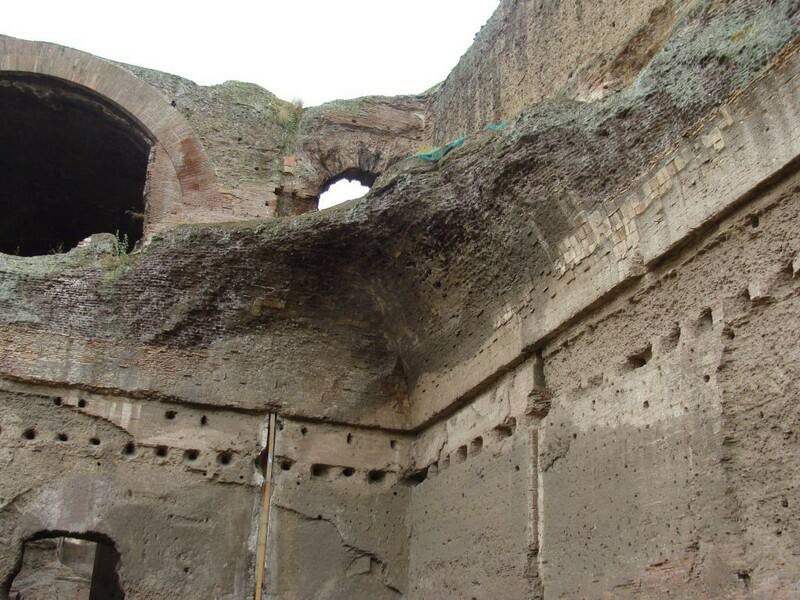 Bathing in the ancient Roman world began in the caldarium, where the hot water heated by the hypocaust opened the pores on the skin. 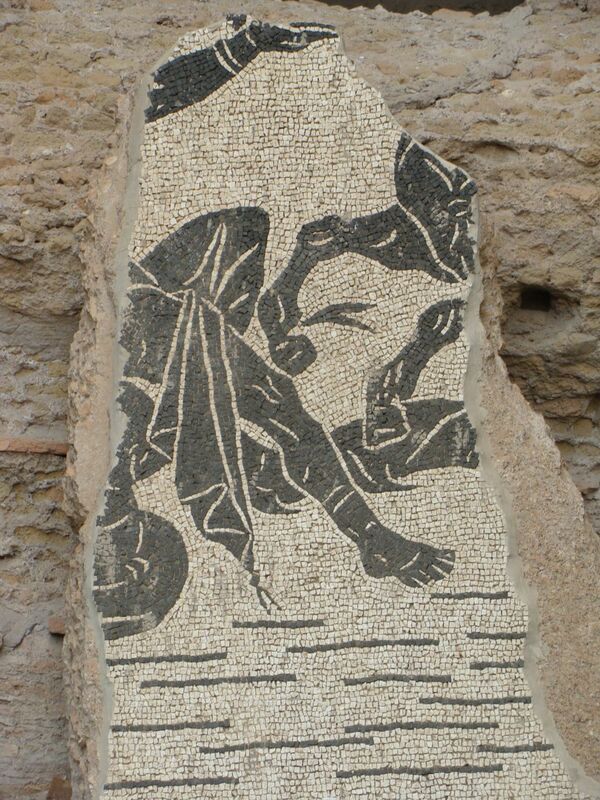 Then the bathers would jump in the tepidarium, cleansing their skin in lukewarm water before finishing in the frigadarium with its cold mountain water fed directly from the Apennines outside of Rome. 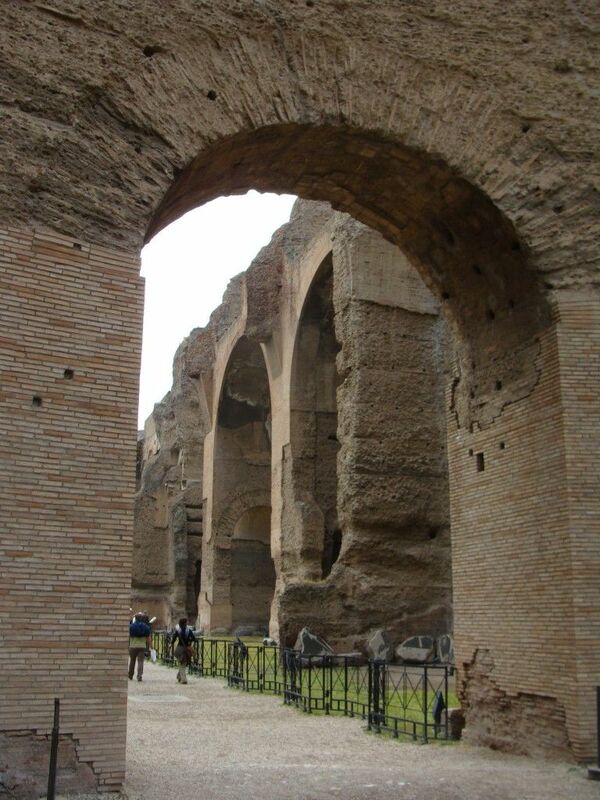 The bathing might also end in the natatio, which was a giant swimming pool. 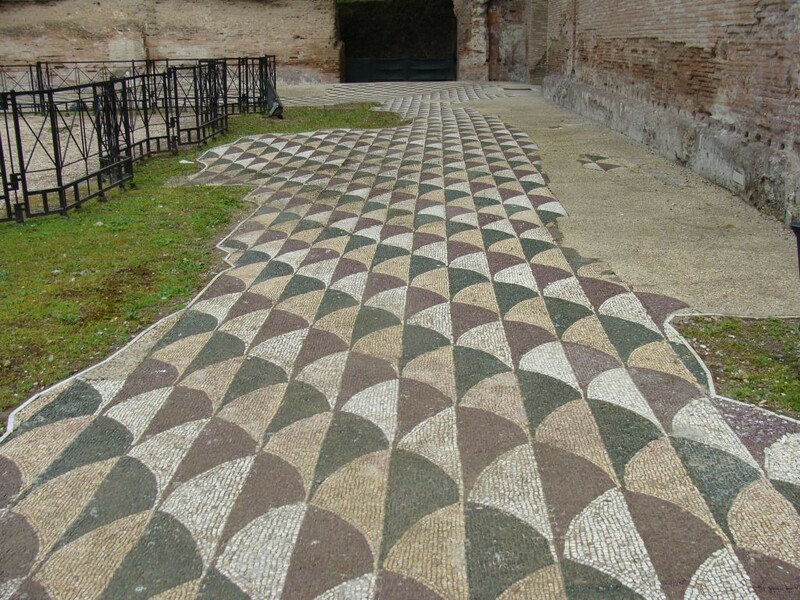 Much of the beautiful mosaic floors survive, showing how beautiful the decorations once were; not surprisingly, there is a recurring aquatic theme throughout the complex. 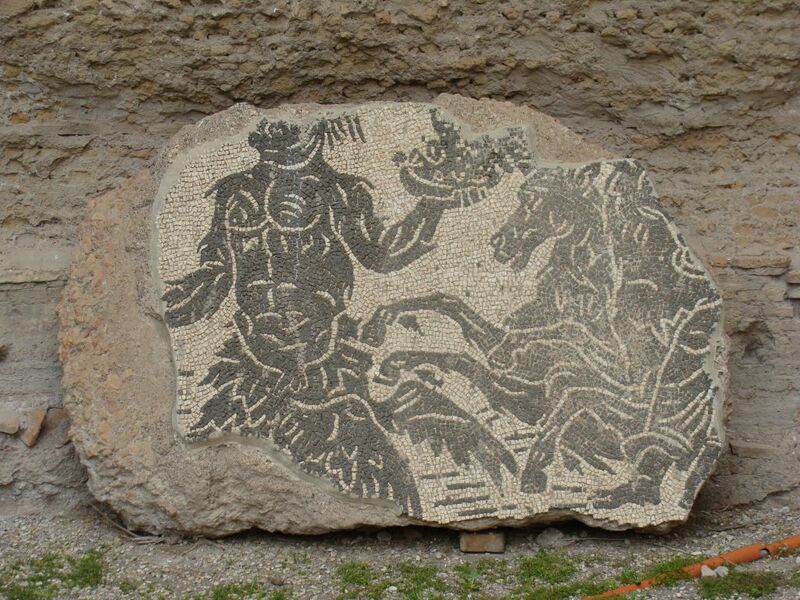 Other fragments of mosaics, possibly from collapsed vaults, are on display. Also, on a more basic level, the massive, monumental structure inspired American architects to think big, very big. 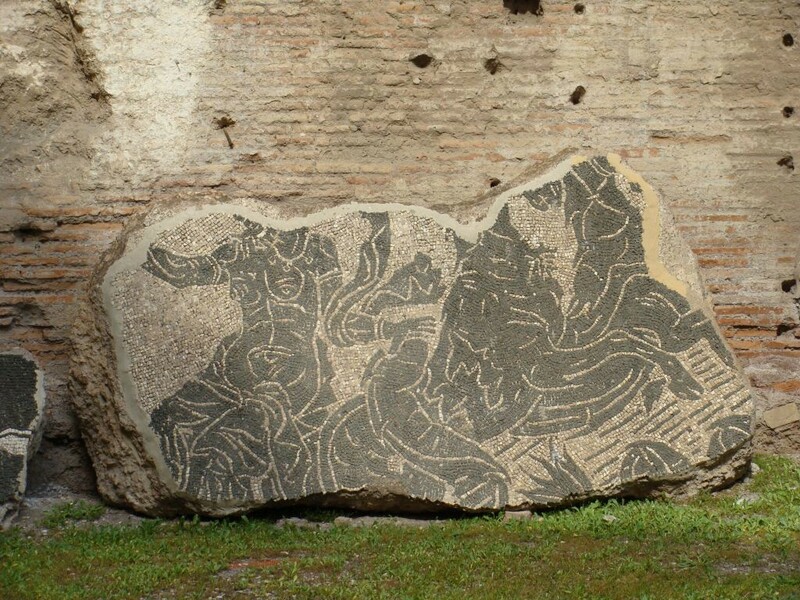 Some of the most important and influential sculpture from ancient world was on display in the baths, now distributed in various museums around Italy, including the Vatican and in Naples. 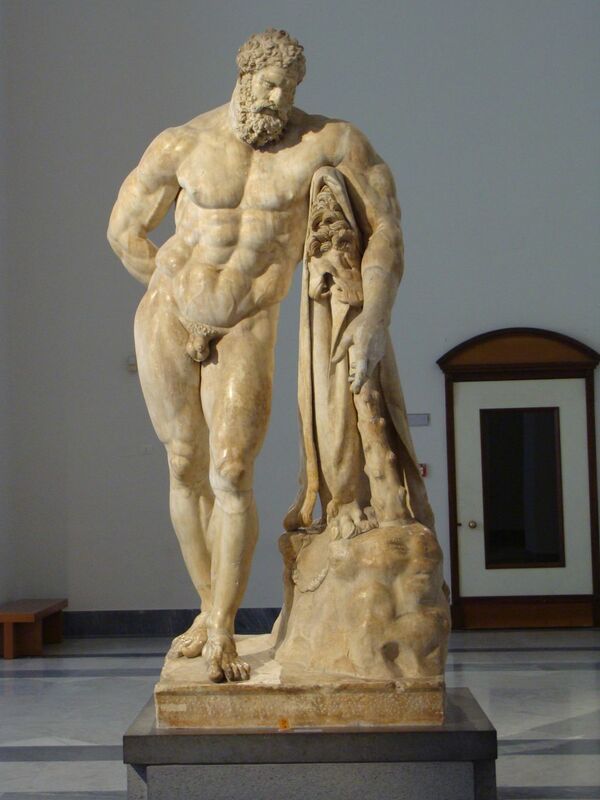 Below is the Farnese Hercules, one of the most influential sculptures found in Rome at the baths and ushered into the Farnese Family’s collection with Michelangelo’s help. Due to a marriage, the Farnese Collection is primarily in Naples now. 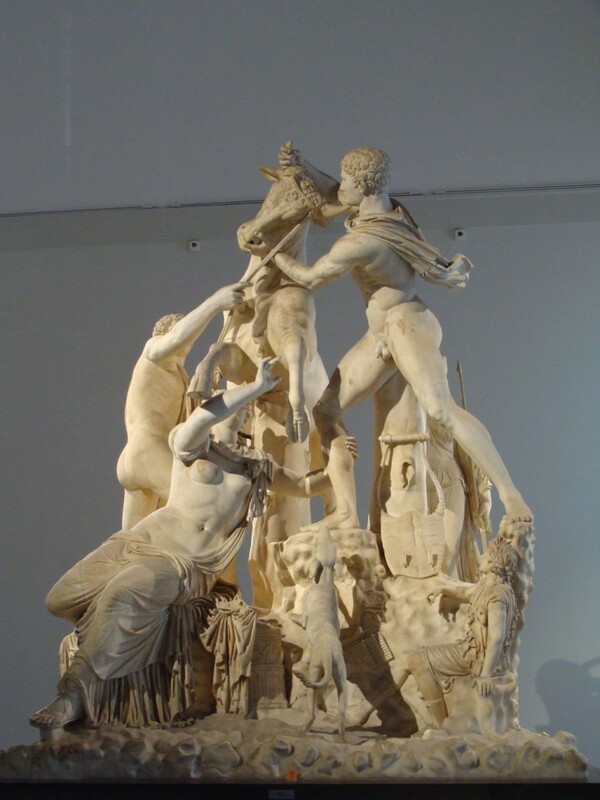 Here is the heavily restored Farnese Bull, recounting the death of Dirce. 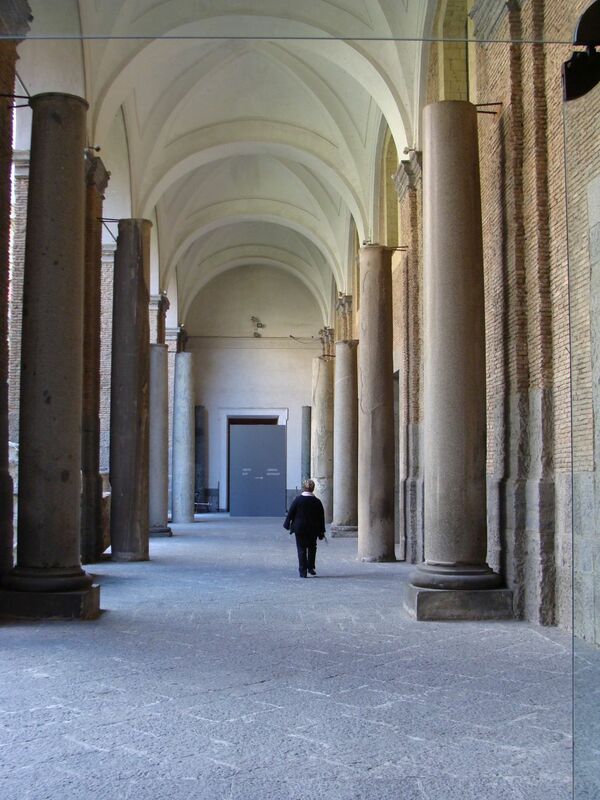 This monolithic columns, on display in Naples as well, possibly come from the baths via the Farnese family, such as the columns that ended up in St. Peter’s Basilica that I referenced in this post. 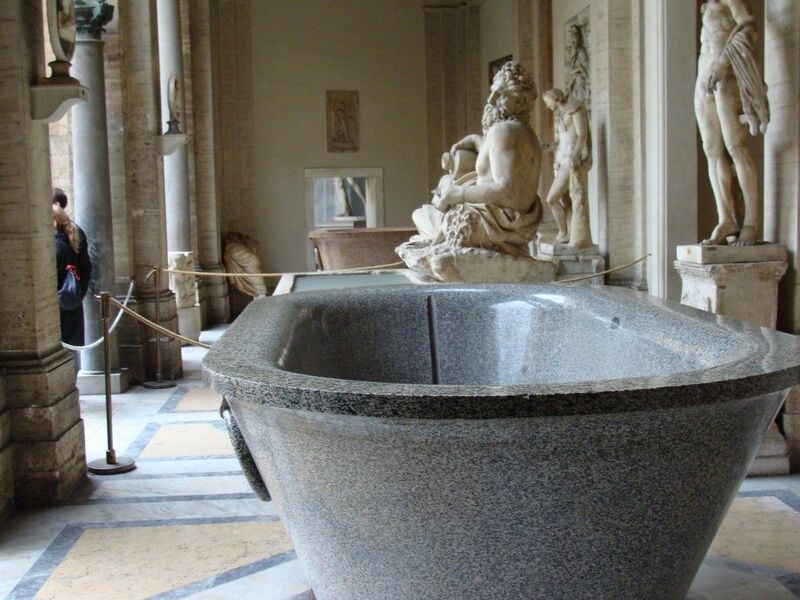 Giant tubs, such as these on display in the Vatican, originally came from the Baths of Caracalla; interestingly, they were sometimes recycled into royal sarcophagi.